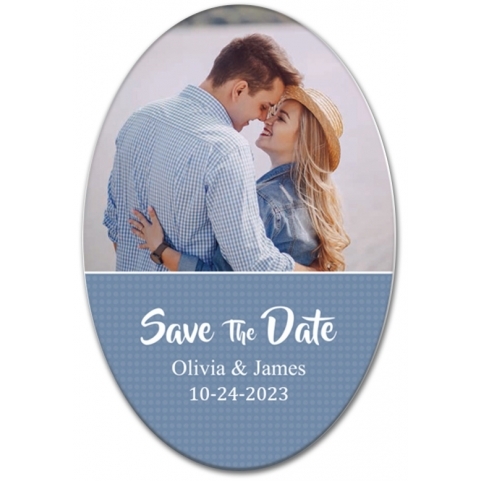 3x2 Inch Save the Date Oval Full Color 20 Mil Magnets – Are you looking forward to the day when you say “I Do” to your loved one in the presence of all those who mattered you the most? Well, then you can announce the big day with 3x2 inch save the date magnets. This is one of our best sellers, and often brides and groom choose it due to its great appeal. 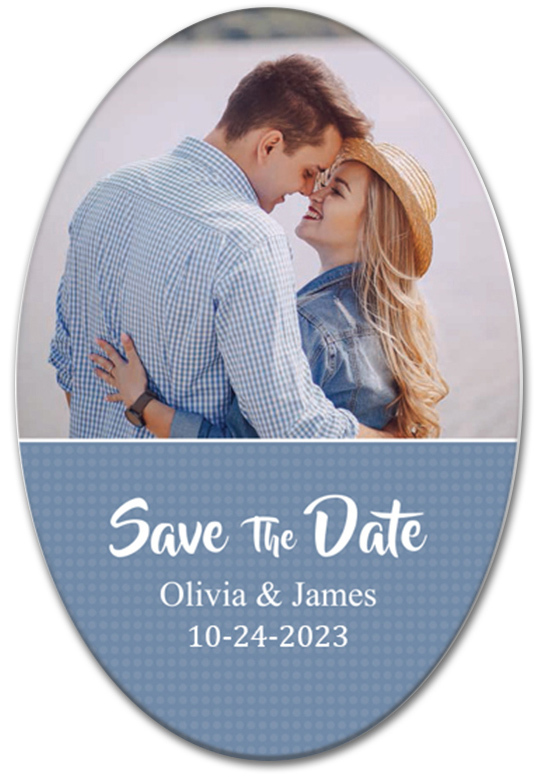 You can customize this oval shaped magnet accordingly to express your joy for the special day.